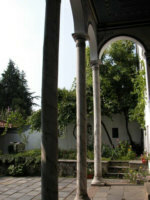 Archaeological and written heritage indicates that the town has existed for about 8000 years as a settlement. Its geographic location (the central part of the Thracian valley, in the south of Bulgaria), a crossroads of West and East Europe, provides for intertwining of diverse cultural sources and influences. 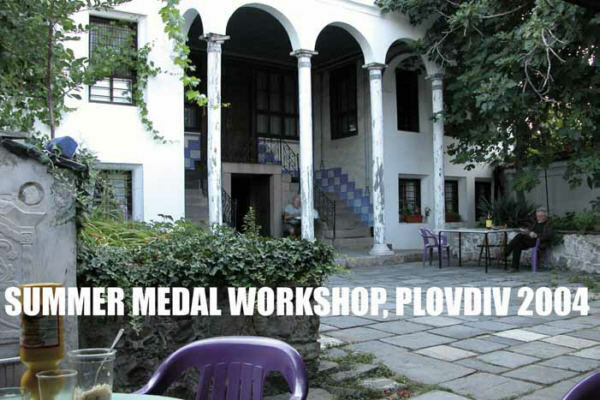 The Medal Workshop – Plovdiv’04 is organized by Prof. Bogomil Nikolov, a famous Bulgarian artist and Head of the Metal Department at the National Academy of Arts, Sofia. 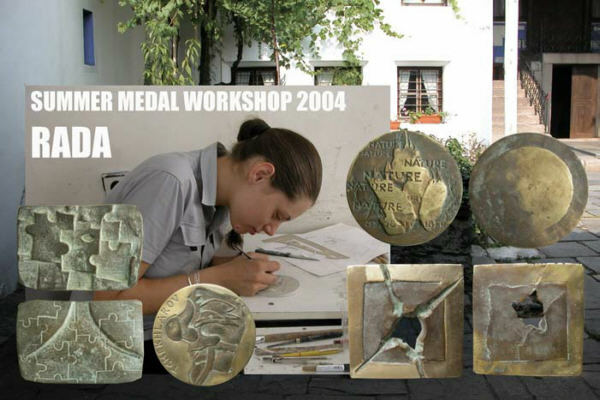 Several students took part in this year’s medal workshop: Diana Danova, Stefan Petrov, Ivailo Ivanov, Rada Dimitrova, Mladen Zheliazkov and Mirena Zlateva, a Ph.D student. Several topics were explored during the week-long session. The central one was “Stage and Stage poster”, inspired by the International Stage Poster Triennial which was to take place in October in Sofia. 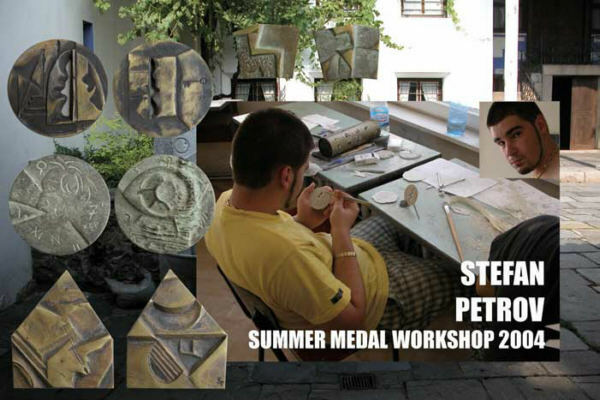 Creativity was triggered by the fact that a studio of the Stage Art High School was available for the workshop. Participants’ comments illustrate the creative mood: “….memories of the times spent in this school are unforgettable…”, Ivailo Ivanov, a graduate of the same school. 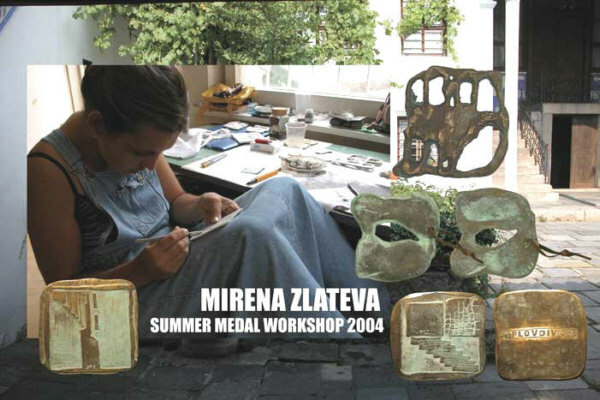 Participants’ accommodation and stay at the Artists’ House in the Old Town inspire spontaneous response in the medium of the medal. 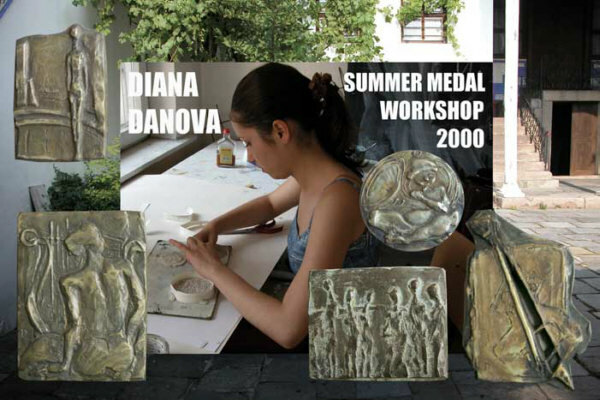 Some of the artists interpret archaeological or Renaissance landmarks of the cultural preserve, called The Old Plovdiv. 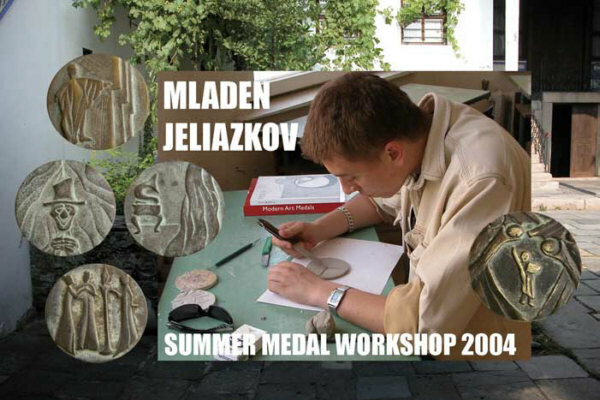 An exhibition of medals created during the workshop was organized. 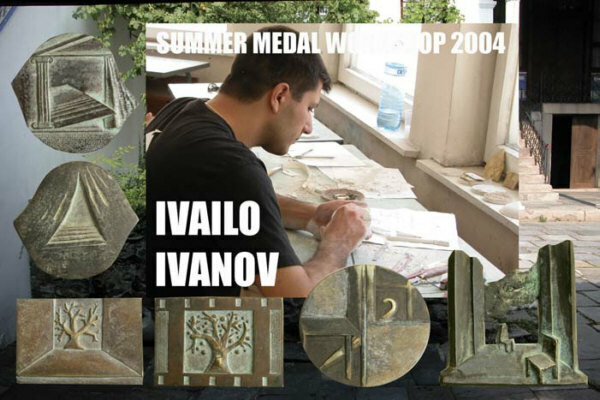 Later, in the autumn, the medals were displayed at the International Triennial of Stage Poster, Sofia.